The Financial Accounting Standards Board (FASB) has amended U.S. Generally Accepted Accounting Principles (GAAP) to clarify the guidance on reporting restricted cash balances on cash flow statements. Until now, Accounting Standards Codification Topic 230, Statement of Cash Flows, didn’t specify how to classify or present changes in restricted cash. 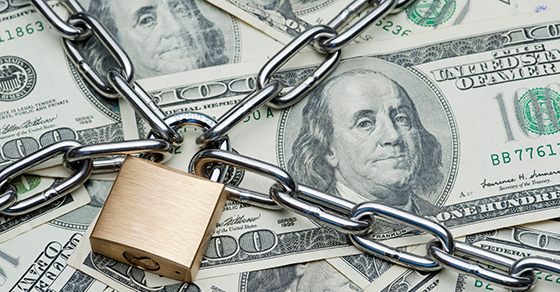 Over the years, the lack of specific instructions has led businesses to report transfers between cash and restricted cash as operating, investing or financing activities — or a combination of all three. The new guidance essentially says that none of the above classifications are correct. FASB members hope the amendments will cut down on some of the inconsistent reporting practices that have been in place because of the lack of clear guidance. Accounting Standards Update (ASU) No. 2016-18, Statement of Cash Flows (Topic 230) — Restricted Cash, still doesn’t define restricted cash or restricted cash equivalents. But the updated guidance requires that transfers between cash, cash equivalents, and amounts generally described as restricted cash or restricted cash equivalents be excluded from the entity’s operating, investing and financing activities. In other words, the details of those transfers shouldn’t be reported as cash flow activities in the statement of cash flows at all. Instead, if the cash flow statement includes a reconciliation of the total cash balances for the beginning and end of the period, the FASB wants the amounts for restricted cash and restricted cash equivalents to be included with cash and cash equivalents. When, during a reporting period, the totals change for cash, cash equivalents, restricted cash and restricted cash equivalents, the updated guidance requires that these changes be explained. These amounts are typically found just before the reconciliation of net income to net cash provided by operating activities in the statement of cash flows. Moreover, a business must provide narrative and/or tabular disclosures about the nature of restrictions on its cash and cash equivalents.